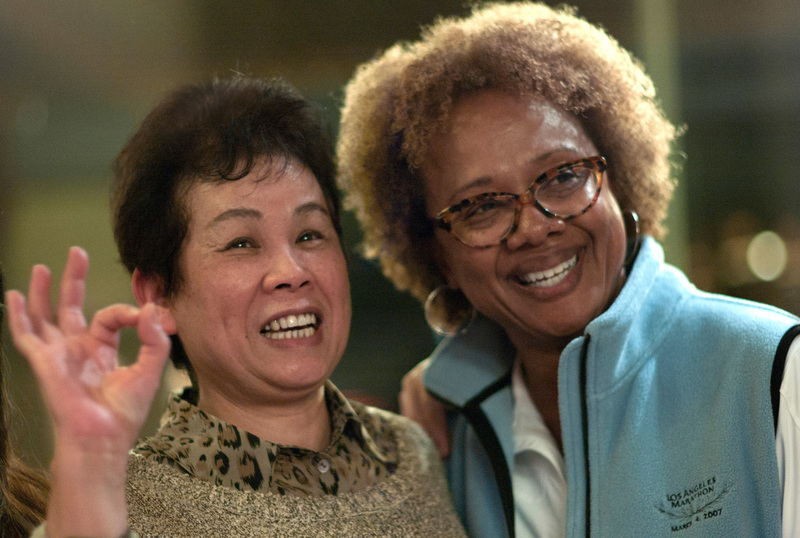 Paula Madison and her Chinese cousin Kim Yuet Lau. Minjun Luo and Paula Williams Madison, first cousins and grandchildren of Samuel Lowe. 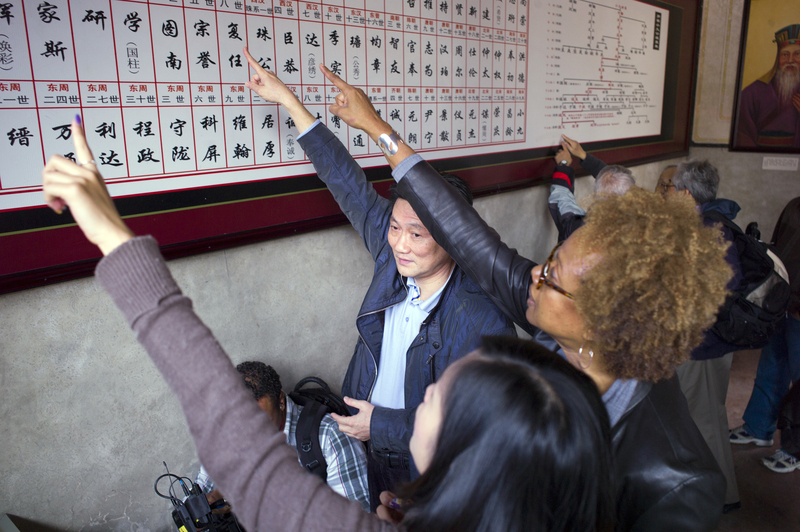 Siqi Luo, great-granddaughter of Samuel Lowe, her father, Minjun Luo and Paula Williams Madison finding Samuel Lowe's lineage on the Lowe/Luo family tree in the family's ancestral village, Lowe Swee Hap, Shenzhen, China. 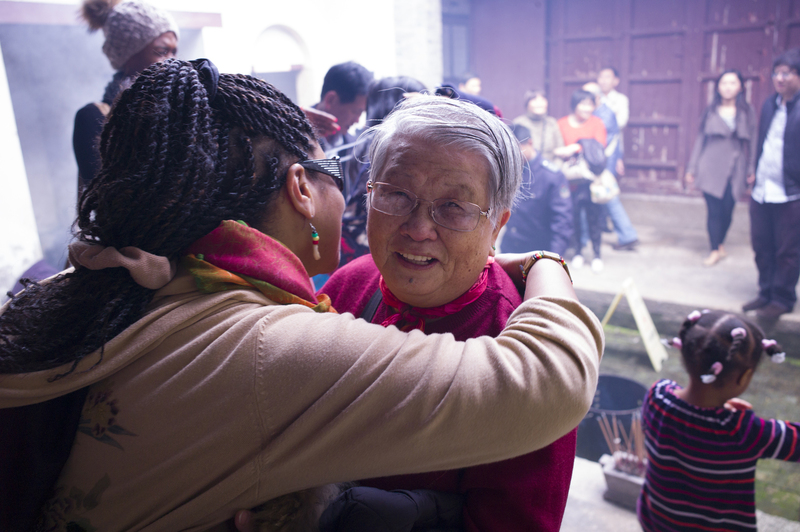 Andrea Lowe, Samuel Lowe's granddaughter, greeting a Lowe/Luo relative at Lowe Swee Hap, the family's ancestral village, in Shenzhen, China. 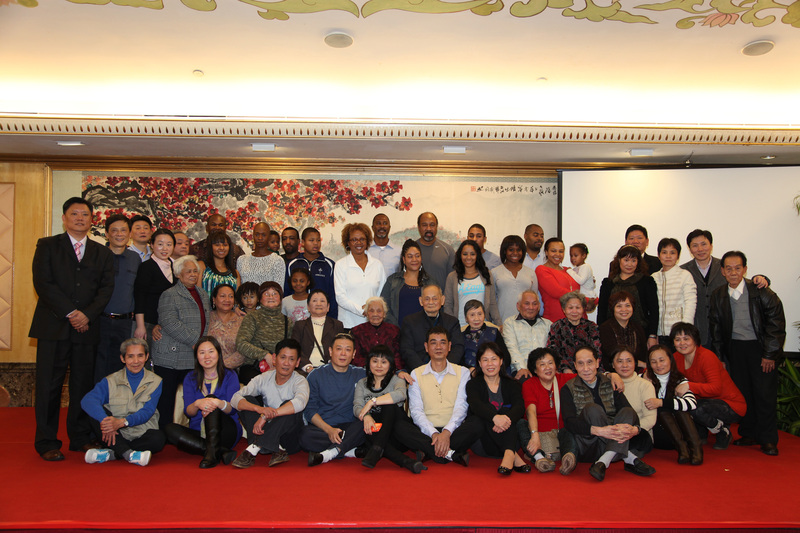 Lowe/Luo family reunion, China, December 2012. 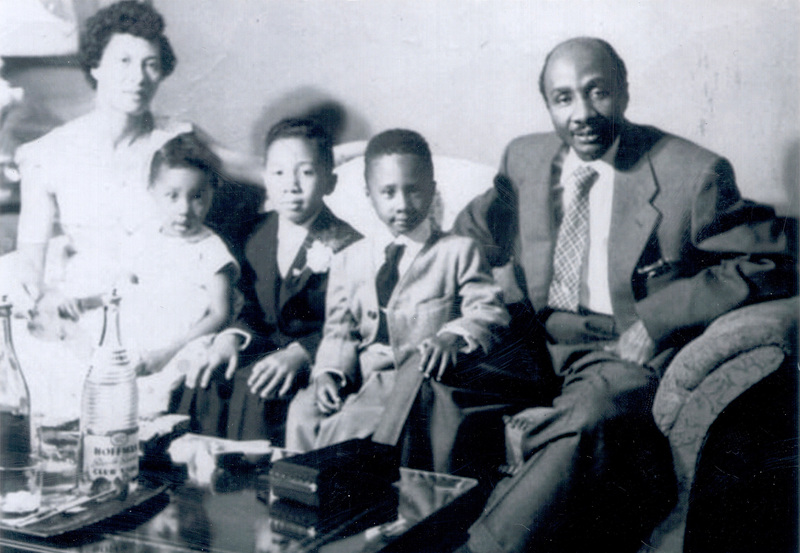 Harlem 1956 -- The only existing photo of our family, taken after Elrick Jr's confirmation at St. Rose of Lima Church. Nell was 38; Paula, 4; Howard, 6; Elrick Jr, 9 and Elrick Sr. 39. My parents' marriage was already a failure and the looks on our faces showed the anxiety we felt whenever they were in the same room for fear they'd quarrel or worse. 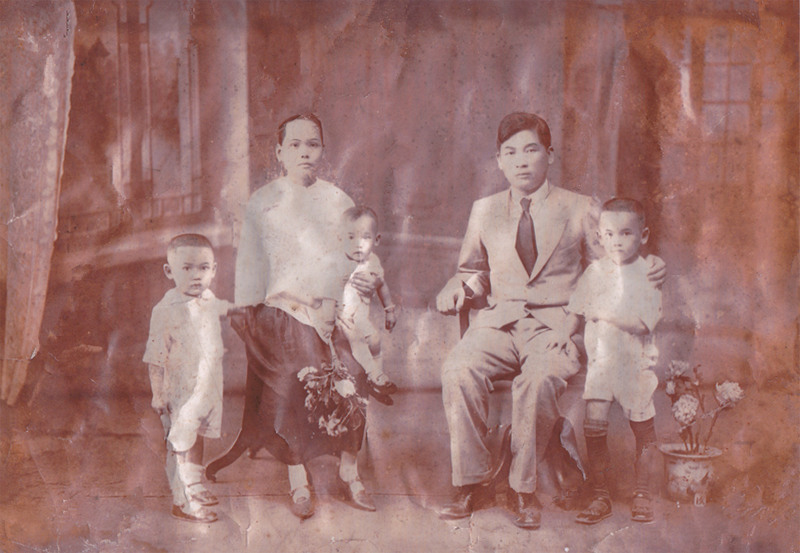 China c. 1929 -- A Lowe Family portrait taken with Samuel Lowe (Lowe Ding Chow), sons Chow Woo, Chow Kong and Chow Ying, and his wife, Ho Swee Yin. 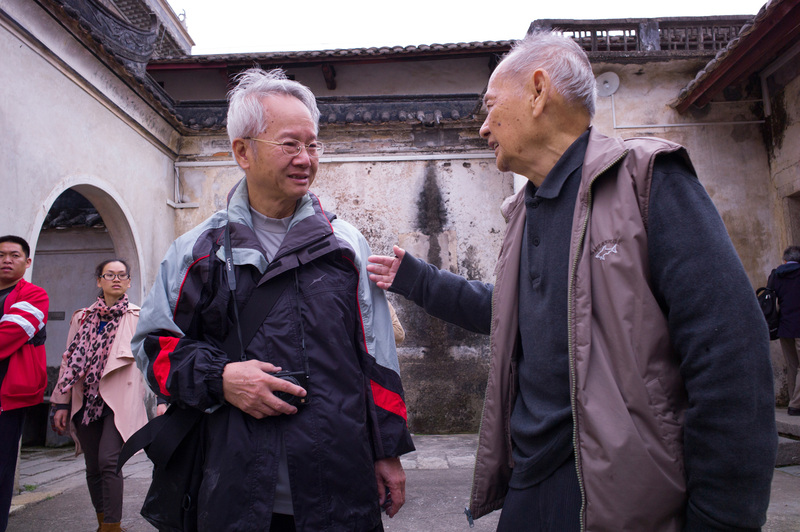 We are now close to Uncles Chow Woo and Chow Kong who greet us in Guangzhou whenever we visit. 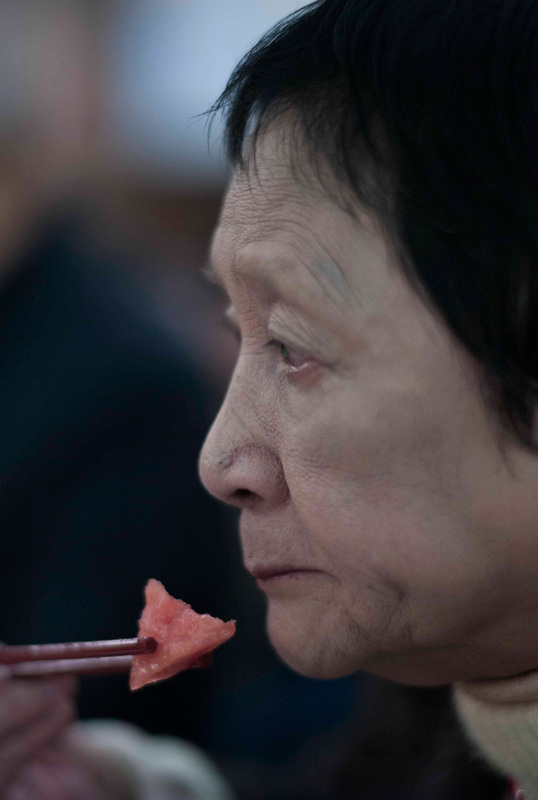 Uncle Chow Ying died in 2007." LOWE SWEE HAP (DECEMBER 2012) -- Yiu Hung Law (left) who asked the Lowe/Luo Family in China if anyone knew of Samuel Lowe; Uncle Chow Woo (right) responded "Samuel Lowe was my father." 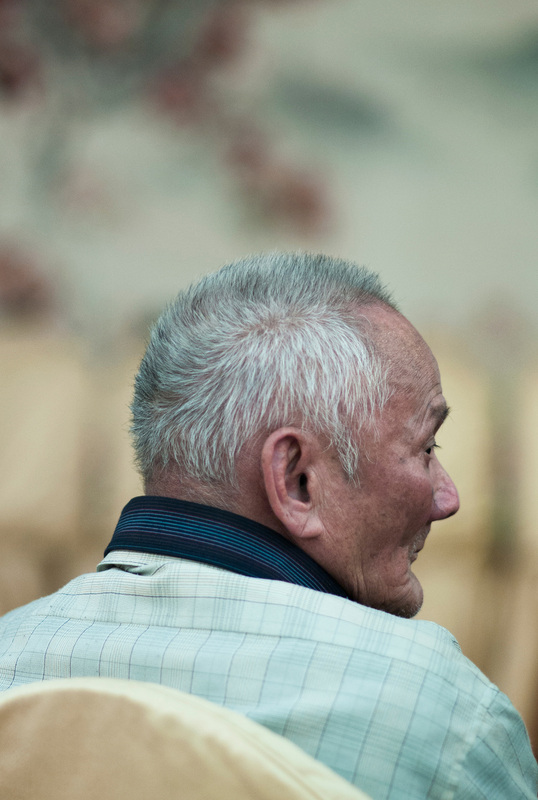 That email ended my search for my family living in China. 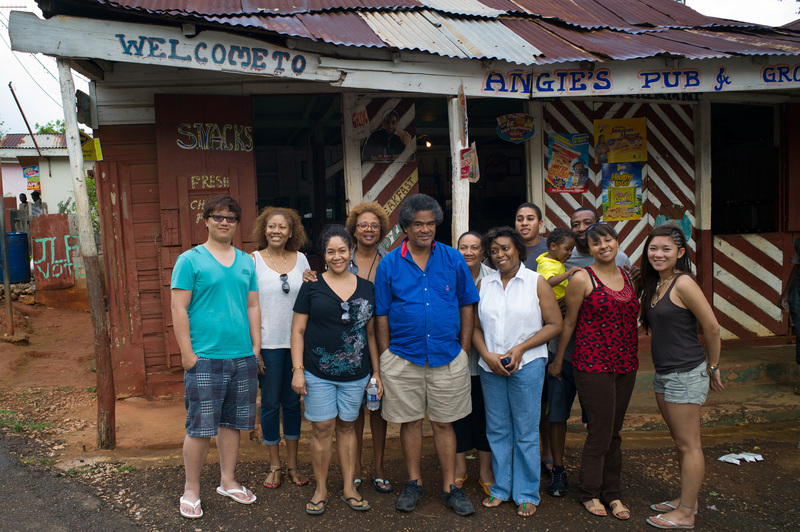 MOCHO, JAMAICA (MARCH 2013) -- Lowe/Luo Family in front of Samuel Lowe's first shop near a sugar plantation in Clarendon Parish. 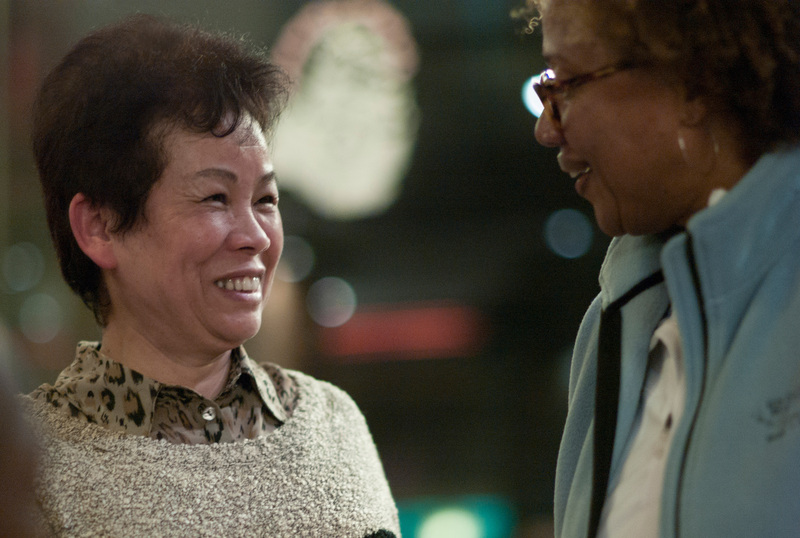 Descendants of Nell Vera Lowe, Gilbert Lowe and Chow Woo Lowe are pictured here. Nell and Gilbert were the only two who didn't go to China with their father. 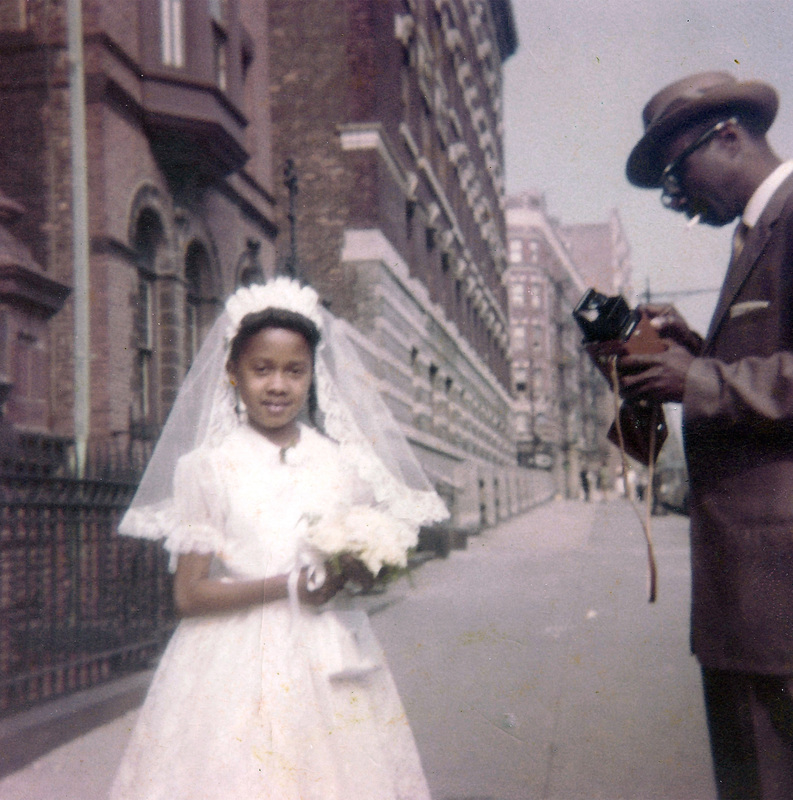 HARLEM (1959) -- My father and me following my First Communion at St. Rose of Lima Roman Catholic Church. 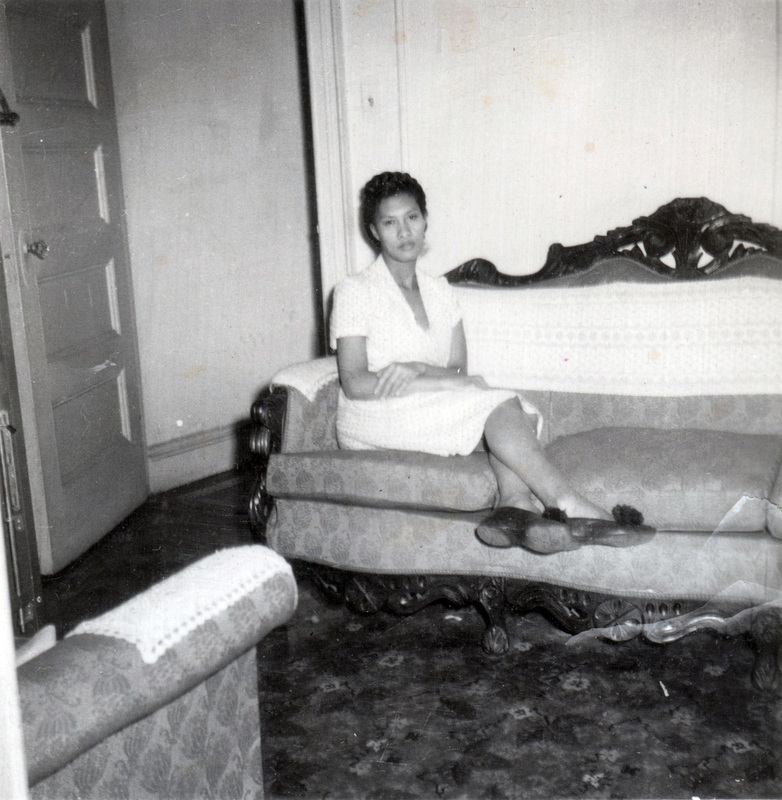 Amsterdam Ave c. early 1950s -- Nell in our Harlem living room. Beautiful and brooding is how I most remember her. 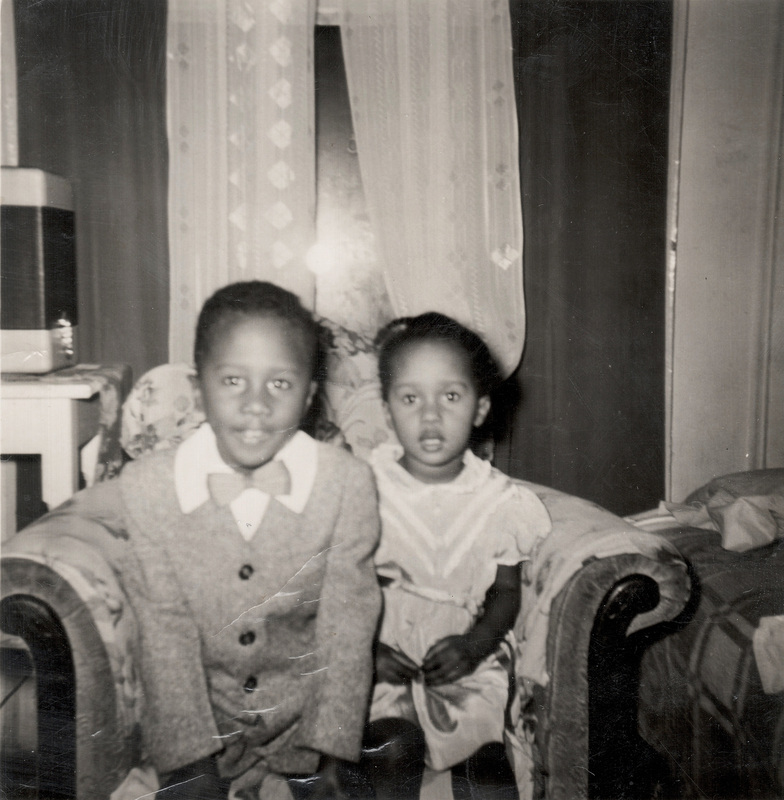 Harlem home of Conrad and Lotte Sweetland -- 112th St. and St. Nicholas Ave. Elrick, 8, Howard, 5, and me, 3, visiting Elrick Jr's godparents. 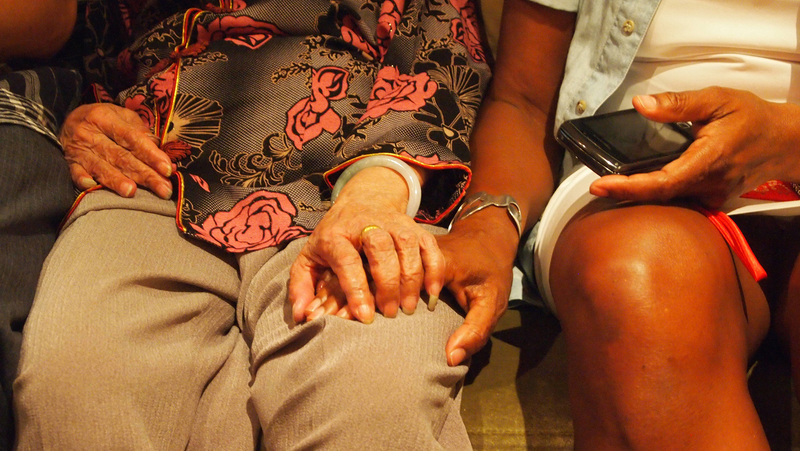 Our father was best friends with "Connie" and his wife, Nana, who cared for us as if we were their very own. 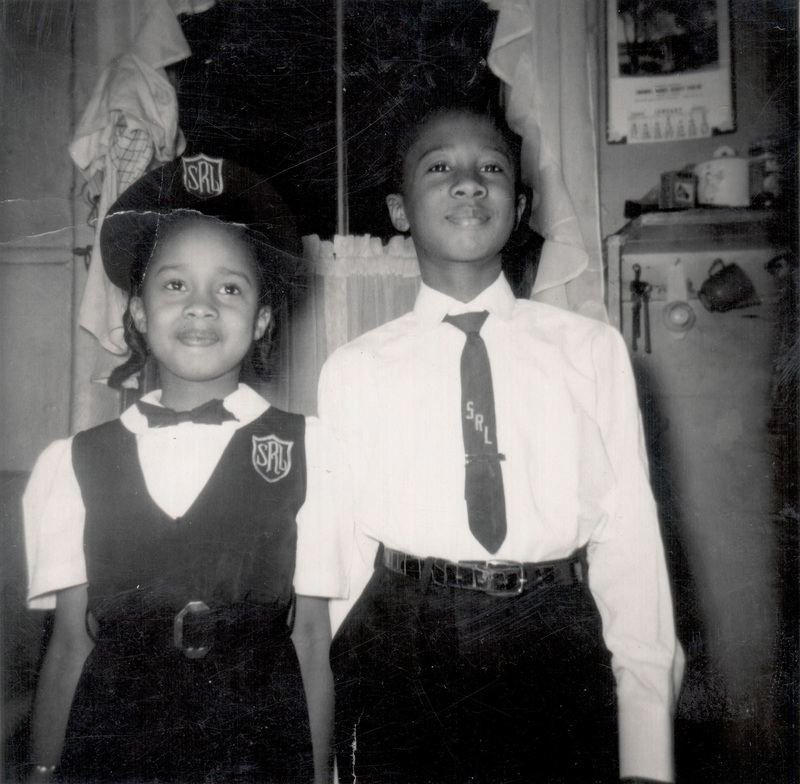 Paula, 6, and Howard, 8, in our Harlem kitchen before heading to classes at St. Rose of Lima School. Elrick was our brilliant oldest brother who set the stage for the Williams kids being known for being smart and having a mother who was as protective as a lioness. 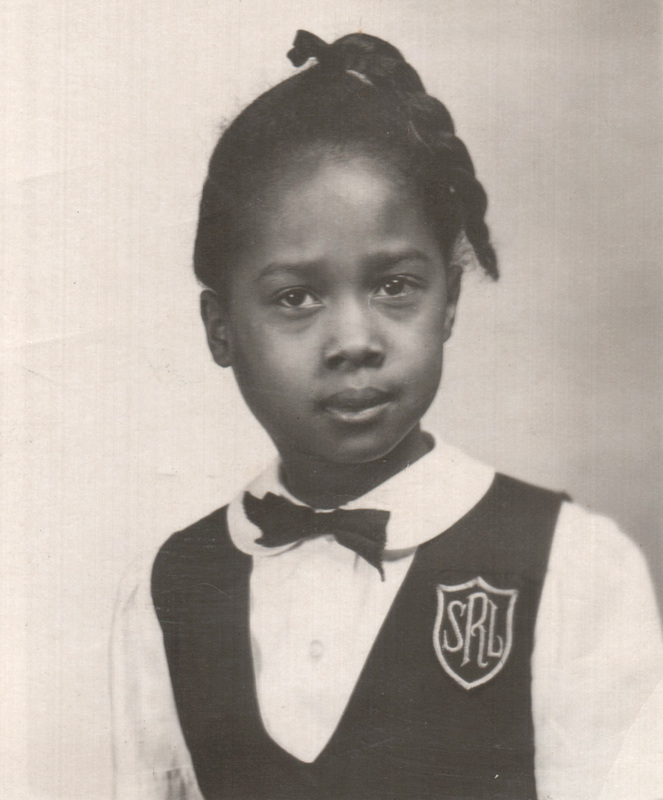 1958 -- We attended St. Rose of Lima School at 164th Street and St. Nicholas Ave. My first grade photo taken when I had the mumps. I was to remain at home for about a week afterwards. 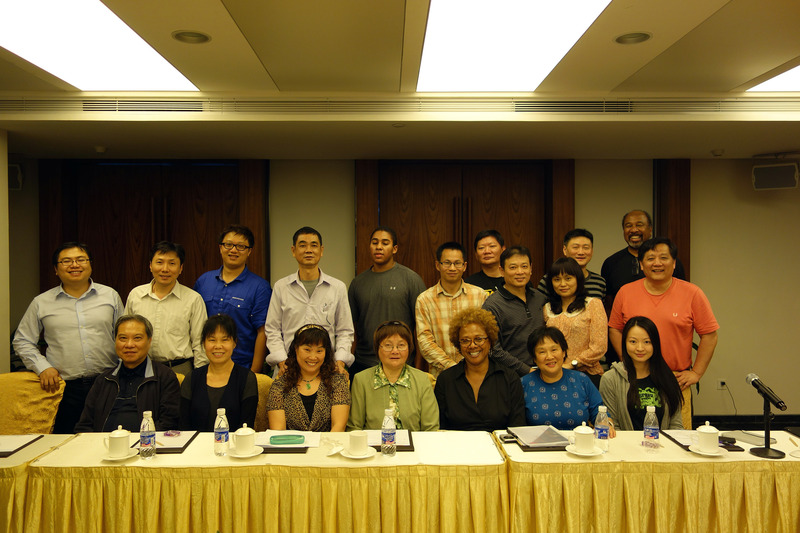 SHENZHEN (AUGUST 2012) -- Aunt Adassa asks me to bring all of her nephews and nieces to China to meet the Lowe/Luo clan. 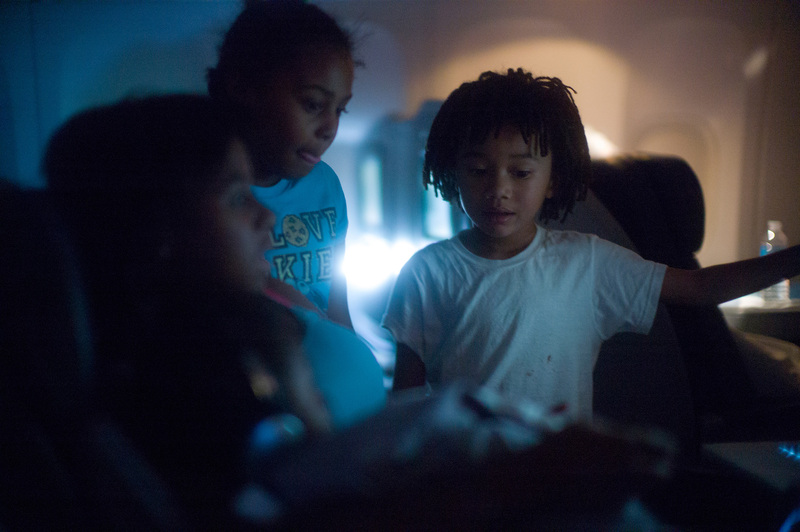 INFLIGHT TO SHENZHEN (DECEMBER 2012) -- Imara Jones, Carlyn Jones and Idris Morales, all great-grandchildren of Nell Vera Lowe Williams. 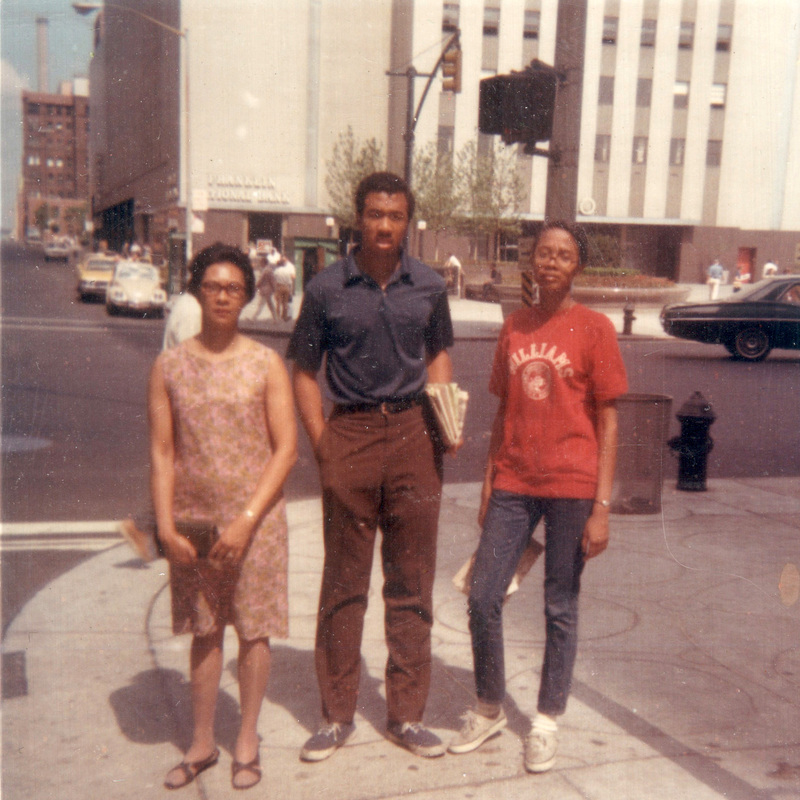 Columbus Circle, NYC, c. 1966 -- Nell, Elrick and me the Summer after his freshman year at college and as I was entering high school. Rare trip to Midtown Manhattan with my mother who mostly stayed in our apartment or on our tenement's stoop. 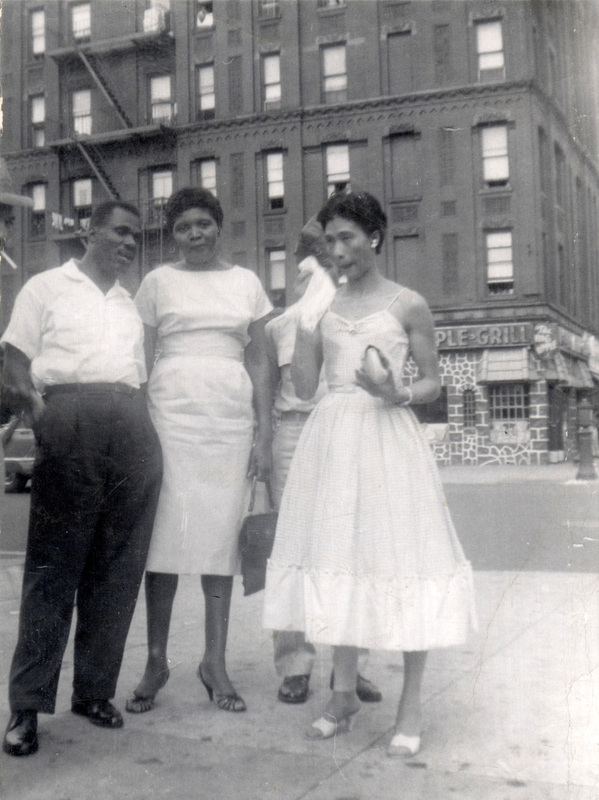 145th Street in Harlem -- Cousin George Barnes, my dad's first cousin, who sometimes rented a room in our small apartment. He was the only relative we consistently saw and he protected and loved us. That's my Mom, right, holding the handkerchief. She likely made her beautiful dress. 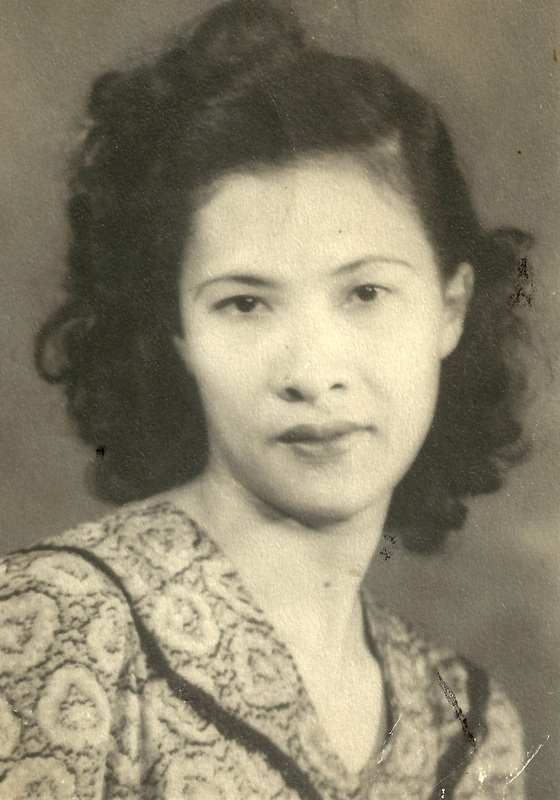 GUANGZHOU (DECEMBER 2012) -- Aunt Adassa Lowe, second eldest of Samuel Lowe's daughters; half-Black Jamaican and half-Chinese, her skin coloring matches my mother's, the eldest daughter of a different mother. GUANGZHOU (DECEMBER 2012) -- Uncle Chow Kong Lowe, youngest of Samuel Lowe's sons. 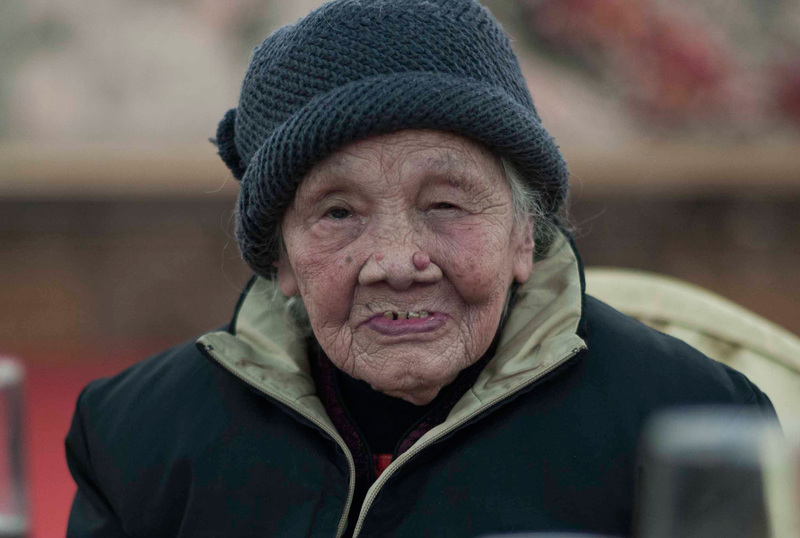 GUANGZHOU (DECEMBER 2012) -- Aunt Barbara Lowe, second youngest of Samuel Lowe's daughters. 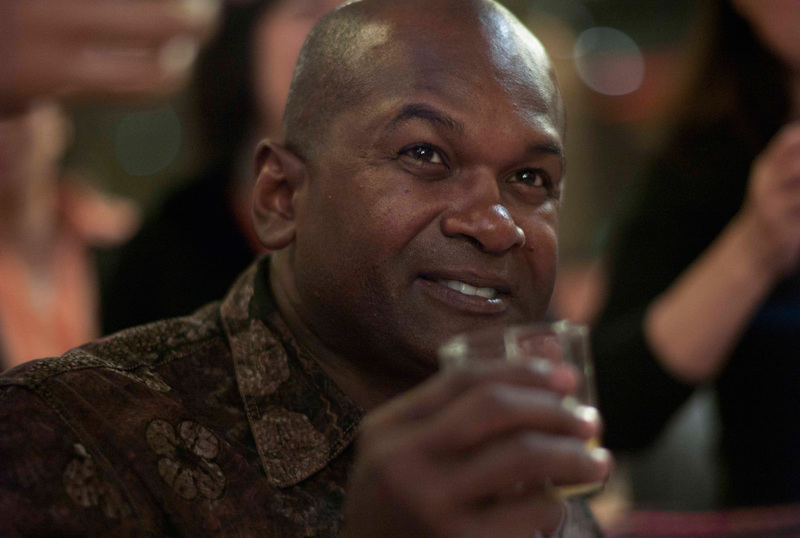 My husband, Roosevelt Madison, who lovingly ended the awkwardness at the first family gathering at Lowe Swee Hap by ceremoniously toasting each table of relatives with Chinese sorghum liquor Moutai. It was a real party after that! Shenzhen, China. 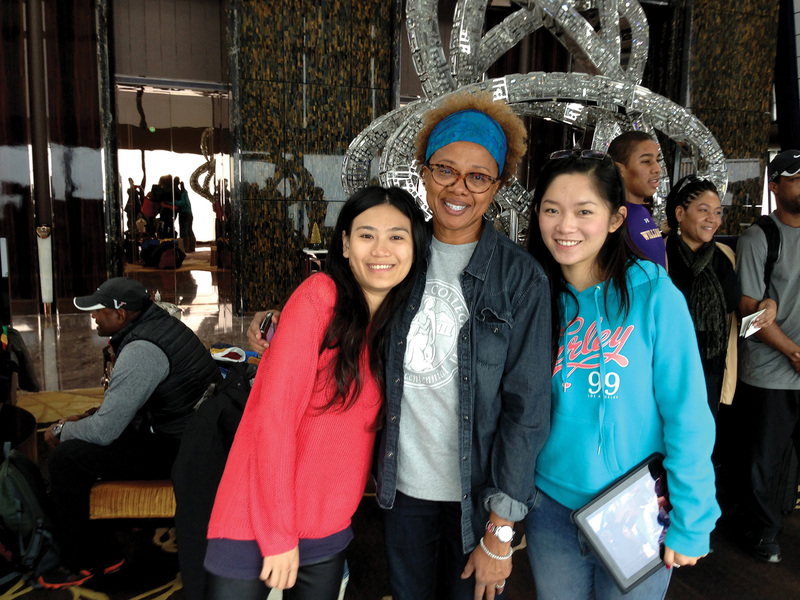 December 2012 -- Uncle Chow Woo's granddaughters, Yuxin (Wendy) Wen and Siqi (Sharon) Luo and me. 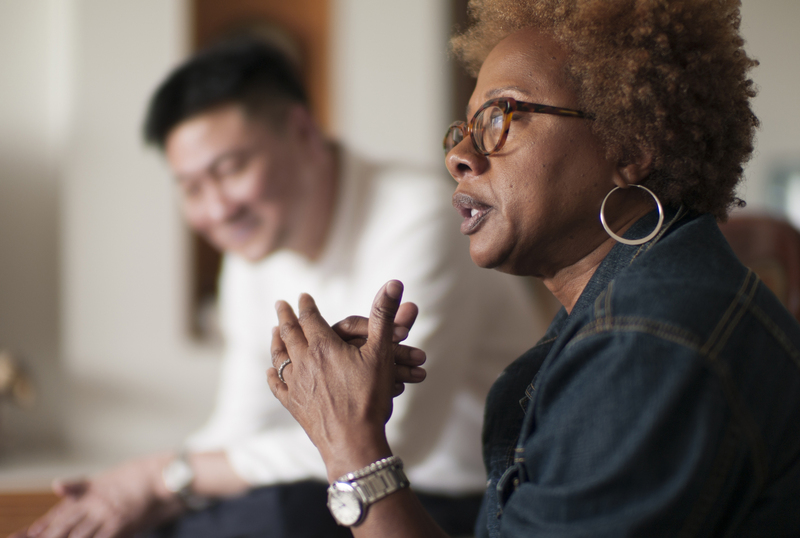 During that week, more than 300 of my Chinese relatives came from Australia, UK, US, Canada, Jamaica and China to meet the 20 Black Jamaican Chinese relatives descended from Lowe Ding Chow's long-lost children Nell Vera Lowe and Gilbert Lowe. GUANGZHOU (APRIL 2013) -- Cousins gather with Aunt Anita Maria to form Lowe Family Enterprises.